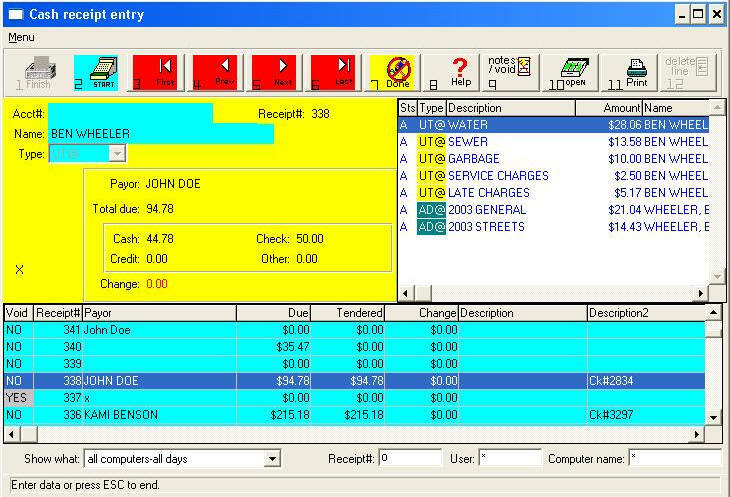 Billing System, Ad Valorem Tax, Occupational License, Accounts Receivable, and Police Ticket Tracker. Miscellaneous fees that have not been billed are easily accounted for in CSAS/2 CR as well. 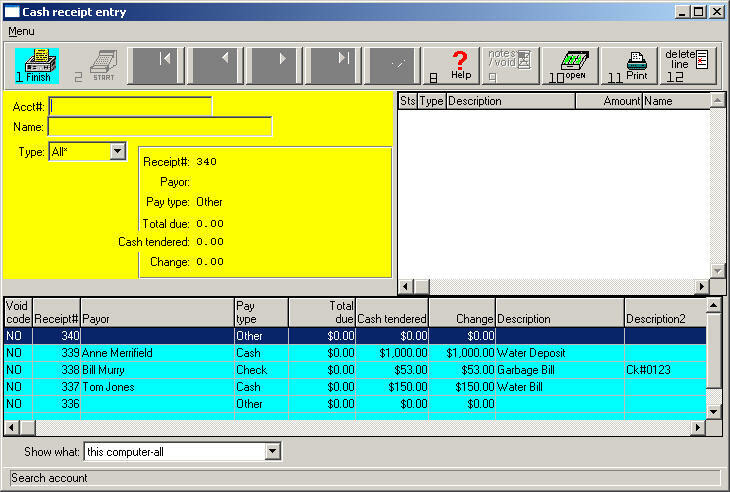 The entry screen for CSAS/2 CR is designed to be a ‘cash register.’ All functions can be performed by using the keyboard and without the mouse. It allows for multiple methods of payments (check, cash, credit card) with every transaction. CSAS/2 CR produces a customer receipt at the point of sale. With the end-of-the-day processing, registers are printed which detail the transactions received by clerk and by cash drawer. Reports are printed which record how the daily posting affected the General Ledger. 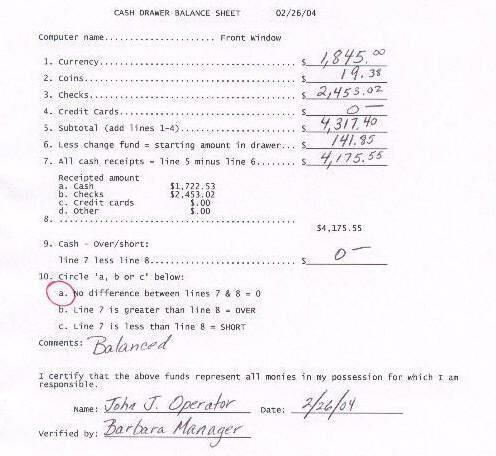 It also prints a “daily balance sheet” for each cash drawer, so that the operators and manager can document and “sign off” that each cash drawer was in balance. 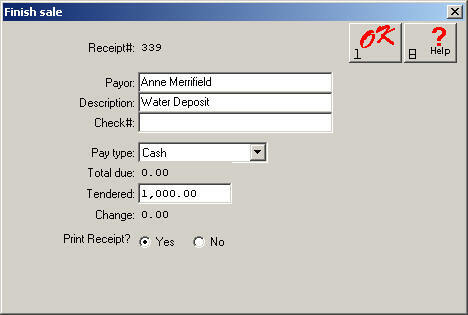 CSAS/2 CR even prints the daily bank deposit slip.